When it comes to a commercial space and the furniture needed to make that space work, there are many elements to consider. 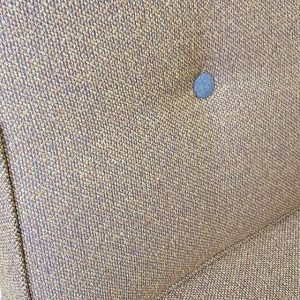 As an upholsterer, I have worked closely with Interior Designers to ensure that the client’s needs are understood and the Interior Designer’s vision is achieved 100%, The result is a completely spectacular customer experience, and a commercial space that works for the purpose it was intended for. Chairs designed by Koush Design and upholstered by Bec at Upholstered Adelaide for Pony & Cole Cafe in Hindmarsh, Adelaide. Interior designers all have their signature styles, and when a client is wanting original and inspired designs for their space, finding the right designer is incredibly important. 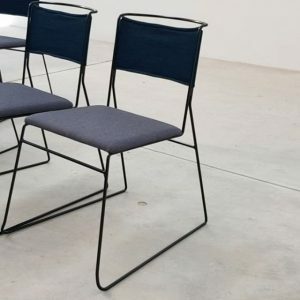 As the Upholsterer working to bring these designs to life, this brings all sorts of challenges as the practical aspects as well as the design aspects all need to be considered. The materials commonly used in upholstery have specific purposes and unfortunately these can sometimes be limitations. One component that can really define a project is fabric. Understanding both the fabrics, and the end products uses can be the best way to achieve the results that the client will be happy with long term. For example advising a busy inner city pub to not use a delicate light fabric on bench seatings but instead to use something more durable and darker, is going to be a suggestion they appreciate in 6 months time. The Fabric selection can be a chance to be more adventurous as it is breaking new ground, and it does not need to be the same as anything previously made. Space – having a workshop big enough to do the work seems like a pretty straightforward suggestion, but it can be easily overlooked. Able to work from architectural plans – again, this seems like a no-brainer, but understanding architectural plans is a skill not everyone has, and when you have spent the money on having them drawn up, you want to make sure they are adhered to by the person implementing them. At Upholstered, we pride ourselves on both skilled and proficient. Checking for practicality during the work. (Ever been to a commercial space, where the bench seat height is too high/low?) like a chef not tasting their food, this one seems like a no-brainer, but seriously, how many times have you been in a commercial space that didn’t quite ‘work’? Following the specifications in terms of the finishing details. Execute to a timeline – this is a skill, and it comes down to being part of a team. Commercial projects have many moving parts that all need to come together at one pointy end. Communicating, getting things done when you said they would be done, and being able to plan how long tasks will take are all incredibly important skills that not every upholsterer has needed to hone before if they work for themselves on smaller projects. Communicate regularly with the designers Large commercial jobs can take months to plan, months to execute and they result in the most rewarding team project. Allowing the intended clients to enjoy for years to come. 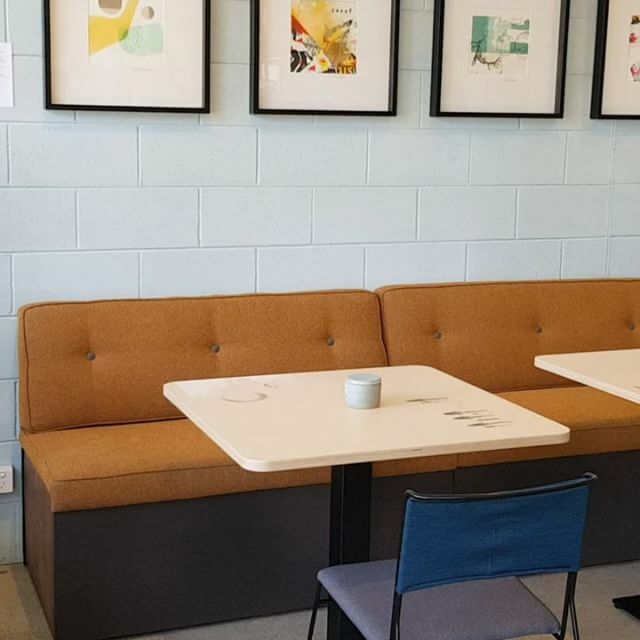 Photo credits: the main image is of the bank seating at Pony & Cole cafe in Hindmarsh, designed by Koush Design and upholstered by Bec at Upholstered. This project was a great collaboration on a commercial space with design professionals working together to achieve the perfect outcome for the space and the client. 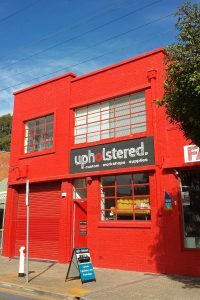 If Upholstered Adelaide sounds like a good partner to have in your commercial project, don’t hesitate to get in touch.